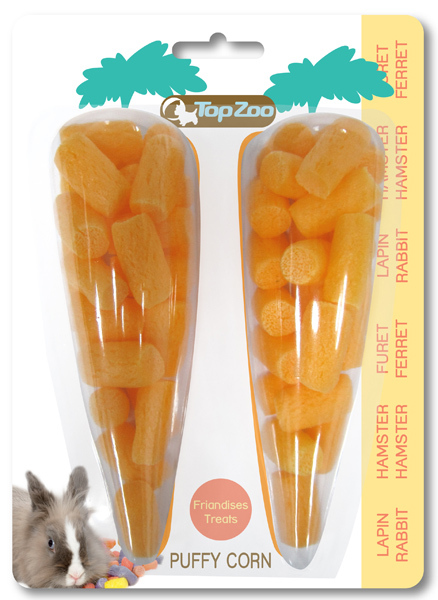 Treats for rabbits, ferrets, hamsters, mice and other rodents. Puffy Corn treats are made of 100% corn thus perfect for your small friends. Fun, colorful and healthy treats to make them happy.